This may not have been the ideal team bonding experience, but a handful of Portland Trail Blazers got to know each other a lot better after spending 30 minutes stuck in an elevator together. 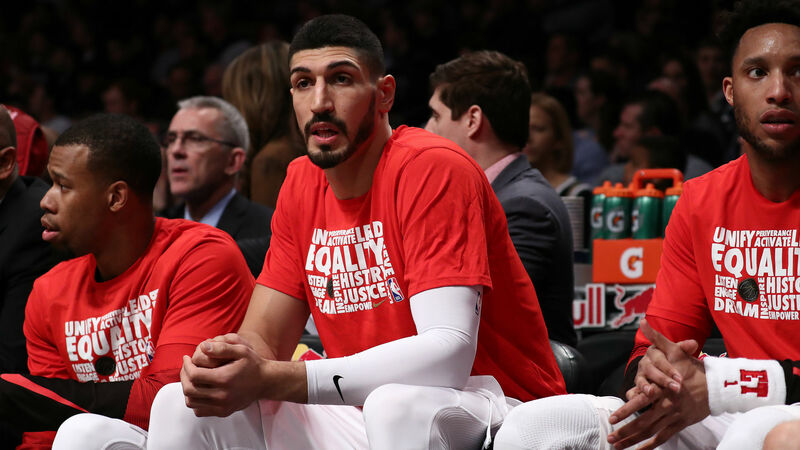 The fiasco was captured by Portland center Enes Kanter and forward Meyers Leonard. Trail Blazers star Damian Lillard, Zach Collins, Anfernee Simons, Skal Labissiere, Evan Turner and Rodney Hood were also trapped. At one point, Turner said: "This is not how you treat the former number one team in the west." Lillard was seen sitting with his head resting on his arms in dismay. Enes added: "We're in survival mode now." It was equal parts hilarious and uncomfortable. Luckily, the players were eventually able to climb out of the elevator and on to the closest floor.